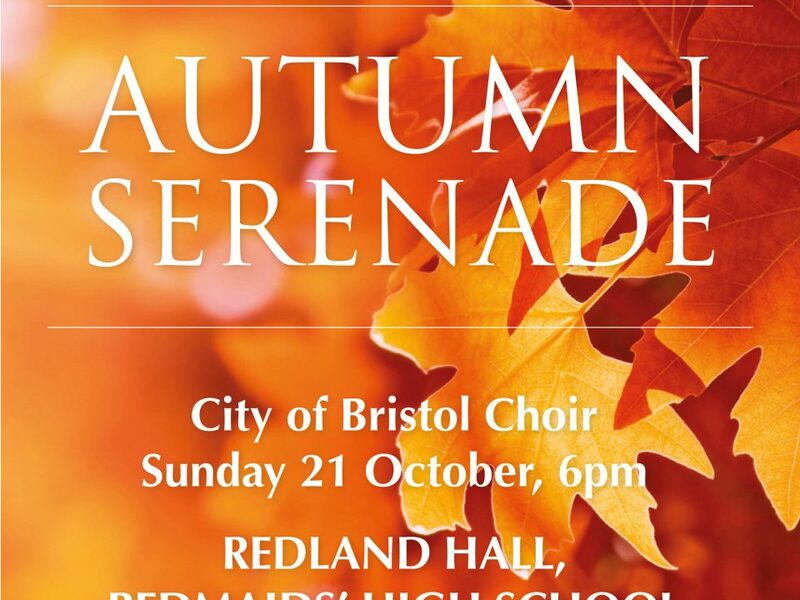 For their first concert in the newly built Redland Hall, City of Bristol Choir is delighted to be joined by the 120-strong Bristol Youth Choir for a concert of music on the themes of love, nature and time. English National Opera soloist Emily Vine returns to Bristol to bring to life the wonderful poetry of John Clare for Cecilia McDowall’s exquisitely lyrical On Angel’s Wing. In The Passing of the Year, Jonathan Dove sets seven poems that trace the journey through the seasons echoing human emotions and sentiments. As we prepare to commemorate the 100th anniversary of the end of the First World War, poignant settings by Brian Knowles of familiar poems reflect on an individual’s response to conflict and loss. Copland’s stirring The Promise of Living brings the concert to a close in a celebration of life, love and the harvest of the fruits of the earth. Scored for choir and piano duet, the brand new Steinway grand piano will be showcased by pianists Richard Johnson and Kate Woodman. Tickets £15 for adults, £5 for children and students in full time education. • Tickets can also be reserved by calling the City of Bristol Choir ticket line on 0117 950 7055.